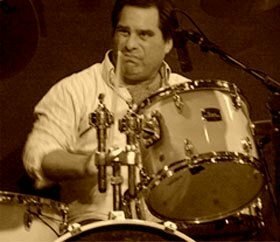 I am an experienced drummer and drum teacher with a passion for teaching students at all levels. I have been a music lover all my life and a student of the drums since the age of ten. My musical roots are in the world of blues, R&B and rock 'n' roll and my tastes range from jazz, blues, funk and soul to Western classical music. I've been a working musician for over twenty years and a full time teacher for a decade. I also have experience as a recording musician and a recordist and producer. I've been a full time private drum teacher for a decade. I work with students aged from 5 to 80 years old. I also have experience working with students with special educational needs. I've helped prepare students for Rockschool and Trinity graded exams. I have experience teaching groups as well as individuals. Every student is unique and I work with each person to develop their skills in a way that suits them. It's important for beginners to learn the fundamentals of the instrument and develop their knowledge of a broad range of musical styles. I teach rudiments, reading, technique, listening skills. I can help more experienced drummers overcome obstacles to improving, analyse technical challenges, develop positive practice routines and expand their repertoire of styles. While I don't consider getting grades essential to music learning, if you want to study for graded exams, I can help you achieve great results.